Our range of products include rectangular through scan sensors, extended through scan sensors, cylindrical through beam sensors, cylindrical through beam scan sensors, cylindrical meter range scan sensors and cylindrical through scan sensors. The policy made by the company makes us engaged in offering a quality assured range of Rectangular Through Scan Sensors that consists of transmitter and receiver in same housing and when object comes in to proximity. The offered scan sensor is manufactured utilizing high grade raw material and advance technology in accordance with the norms of industry. 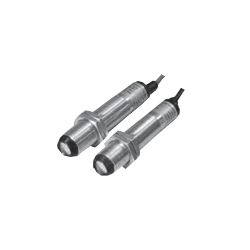 In addition, our scan sensor is widely finds its applications in various industrial sectors. 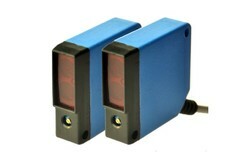 Our customers can avail this scan sensor from us in different specifications. Range : 3 mtr / 10 mtr / 20 mtr. Owing to our extensive years of industry experience and profound market understanding, we are providing Extended through Scan Sensors. This scan sensor is developed in sync with the standards of industry by our highly qualified professionals using optimum quality raw material. 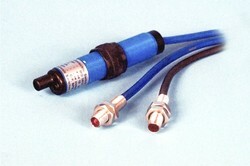 The offered scan sensor is offered in various specifications as per the specific needs of the clients. 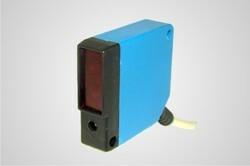 Our valuable customers can avail this scan sensor in bulk quantity at competitive rates from us. Range : 500mm / 500mm / 1mtr. In order to cement our reputation in the market, we are engaged in catering a wide range of Cylindrical Meter Range Scan Sensors. Our provided scan sensor is developed by highly skilled professionals using finest grade raw material & latest technology keeping in sync with the norms of industry. Offered scan sensor is stringently tested on various parameters in order to deliver defect free range. We offer this scan sensor in various technical specifications and can be custom design in order to meet the diverse requirements of the customers.